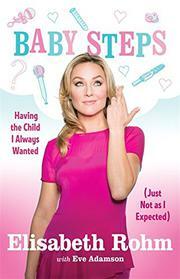 An honest memoir about infertility and parenting, written with the assistance of veteran co-author Adamson. At 34, former actress Röhm (Nerissa, 2010) "lusted" to have a child. But this "baby lust," she writes, "didn't come out of nowhere. It arose out of a long and complex history of lusts woven together into a story that became my own.” She had a successful acting career and a steady boyfriend, and it seemed logical to finally heed the demands of her body and begin the baby-making process. Unfortunately, her body had made adjustments of its own and had aged prematurely: "My eggs, at thirty-four, looked more like the eggs of someone who was forty-four." Swallowing her pride and shame, Röhm embarked on the stress-filled and expensive road of in vitro fertilization. She and her partner were lucky, producing a child on the first try. With motherhood came a new awareness of her own childhood and the difficulties her mother had endured to raise her as a single parent. The author gained a new love of life, a sense of spirituality and a drive to tell her story of IVF so that other women would not feel the whirlwind of emotions that she felt before her pregnancy. Röhm openly tells her story of her fertility issues. Thanks to modern science, there are ways to combat aging, but the author encourages women to listen to their bodies; there really is a biological clock ticking inside that does slow and stop. Waiting for the "opportune" time to have a child might not be the most prudent decision. An authentic look at the inability to conceive a child and an alternative route to pregnancy.